It is very fitting that my friend's, Guido's Lounge Cafe, should hit his 200th show at the beginning of the new year. This man has made many friends (including myself) over the course of compiling these mixes. He tirelessly continues to bring his creative endeavours to over 6000 faithful followers around the world. This genre of music is gaining in popularity thanks to people like Guido. It is with great pleasure that I share this special 2-hour 200th show with my This is Lounge followers. 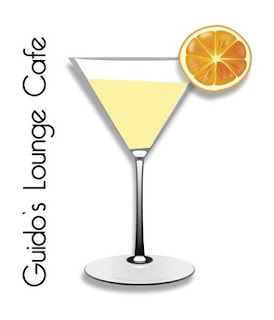 What makes this very special is the "tributes" paid to some of his followers and the music they have "Shared" in Guido's Lounge Cafe, The Facebook Group. This man's heart knows no bounds. Thanks you, Guido for your peace and love, and doing your part in helping us chill in a world that is sometimes crazy. I wanted to give this broadcast a twist with the way I used to do my older mixes.. using lovely drops by friends of Guido's Lounge cafe. This is a set of 2 hours.. The download will hold up for 2 week only!! !